Helicopter flights, flying lessons, pleasure flights, helicopter tours over Newcastle. Learn to fly with our friendly, experienced flight instructors. Charter a flight from Newcastle and arrive in style. Are You Ready For Your Perfect Flight Experience? Do you want a challenge? Do you want to test yourself? Have you ever thought about learning to fly a helicopter? Helicopter flying is a great way to test yourself personally and to challenge your skills. Whether you enjoy a trial lesson or decide to continue your training to become a fully-qualified pilot, you will gain a great sense of achievement. Let Northumbria Helicopters guide you every step of the way for the experience of a lifetime. Please follow the instructions on your voucher. Are you looking to give someone a fantastic gift? One that they'll never forget? Then why not give that special someone a Helicopter Flight Experience from Northumbria Helicopters? Our most popular gift idea. 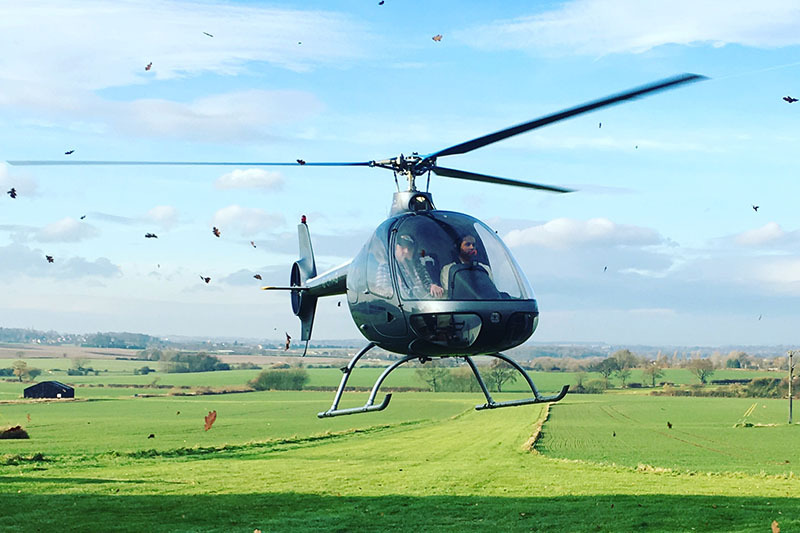 Enjoy a 30 or 60 minute helicopter lesson FOR ONE. A Fantastic Gift for someone wanting to have a go at flying a helicopter. Fancy a flight in a helicopter and the chance to see some famous landmarks around Newcastle? Angel of the North, Gateshead Millennium and Tyne Bridge. 15 or 30 minute flights available. Plan your own route, see fantastic landmarks St.James' Park, Tyne Bridge, Angel of the North, Bamburgh Castle. It's your choice! My daughter loved her 6 mile flight, Kimball was lovely and the flight was really smooth. Shame the weather changed but at least it was still good enough to fly. Thinking about booking a longer flight. Booked for my daughter and mother’s birthday surprise. Was cancelled back in October however due to weather. Was actually pleased as the weather was beautiful and our pilot was also great. Was a wonderful experience and would definitely recommend. Will be booking for a longer flight some time in the future. 15 Minutes just wasn’t long enough. Thank you to everyone involved in making this a very special experience. A helicopter flight has been on my bucket list for ages! And I loved it!! Being in the front seat was great, it wasn’t as bumpy as I thought it would be. Aneel was helpful and answered any questions, the ground crew were friendly and professional. I would love to take a longer flight and maybe even have a lesson. A great experience, thoroughly enjoyed the helicopter flight. I decided to check out the sights rather than take the controls too much!